The Catherine Filene Shouse Arts Leadership Program (ALP) is designed to prepare Eastman students for a rapidly changing musical culture and an increasingly competitive and diversified marketplace. Created in 1996, the ALP originated as part of the “Eastman Initiatives,” the Eastman School’s comprehensive restructuring of its curricular and co-curricular programs. In July 2000, the program was named in honor of Catherine Filene Shouse, in recognition of a major endowment grant from the Catherine Filene Shouse Foundation. The ALP recognizes that success as a professional musician requires more than superb technique and artistry: Success also requires the ability to communicate effectively, entrepreneurial skills, fluency with emerging technologies, commitment to audience engagement, and public advocacy for music and the arts. More important, the future health and growth of our musical culture relies on the energy and imagination of the next generation of musicians and artists. The fundamental goals of the ALP are to inspire students with a personal vision, to equip them with the professional skills and experience that will allow them to take charge of their career prospects, and to encourage them to provide leadership in the musical culture and marketplace. The Arts Leadership Program also receives endowment support fromThe Starr Foundation. The Arts Leadership Curriculum offers 10-12 courses per semester on topics in five distinct categories: Entrepreneurship & Careers; Leadership & Administration; Performance; Contemporary Orchestral Issues; and The Healthy Musician. The Arts Leadership Internship Program provides paid, for-credit internships in Rochester, as well as paid, summer and post-graduation”externships” in the U.S., Canada, and around the world. Hundreds of students have participated in the ALP internship program since its inception. The Arts Leadership Guest Speaker Series brings thought-provoking performers, arts managers, promoters, music writers, and music educators to Eastman to speak on and about a variety of career and music-related topics. The Arts Leadership Certificate Program provides intense, one-on-one advising and coordinated access to all ALP components. The certificate program also provides “extras” like special opportunity grants, alumni reunions, and paid post-graduation externships. A personal and flexible program: Unlike extra-curricular offerings or minors that offer a limited, pre-defined focus, the Arts Leadership Program is co-curricular. Students pursue personalized courses of study that complement their primary areas of study, as well as their intended career paths. As music degree programs become increasingly rigid and prescribed, the Arts Leadership Program offers students numerous options that provide opportunity for personal exploration. The program’s flexibility and openness is designed to mirror a rapidly changing “real world” that requires and rewards good decision-making and adaptability. One-on-one advising: Intensive, one-on-one advising helps Arts Leadership certificate candidates coordinate courses, find internships and externships, create independent study opportunities, meet with potential mentors, and discover other opportunities that complement their areas of study and intended career paths. The resources of the ALP are combined with the offerings of Eastman’s Office of Careers and Professional Development to provide the best possible career preparation for students. While career advising is common in professional music schools, the ALP uniquely integrates career advising with professional curricula and real world professional opportunities. Post-graduation emphasis: The goal of the ALP is to make a seamless transition from formal education to the working world. Students enrolled in an ALP certificate program begin this transition in the last two years of formal education, and continue to receive support for at least the first two years after graduation. This support includes post-graduation access to paid internships. All Eastman students can take advantage of the ALP, but access to certain program components require that students apply for and be accepted into the Arts Leadership Certificate Program. undergraduates in their junior and senior years. Students apply in their junior year, must participate for 3-4 semesters and must be enrolled full-time in a degree program at the Eastman School of Music. all graduate students, but is designed particularly for MM and DMA students. They must participate for 3-4 semesters and must be enrolled full-time in a degree program at the Eastman School of Music. Other University of Rochester students may apply with prior permission. Contact ALP to request. Students who wish to participate in an ALP certificate program must be a full time student, have a strong academic record, provide evidence of past leadership, and demonstrate an awareness of the challenges and opportunities facing professional musicians and artists. The application requests a résumé, completion of three short essays and a faculty recommendation. All finalists undergo a personal interview before they are accepted. The Eastman School is proud of and grateful for the generous support of the Arts Leadership Program provided by The Catherine Filene Shouse Foundation. In 1989, the Foundation was established to further the performing arts and education, and to honor its namesake, Catherine Filene Shouse. 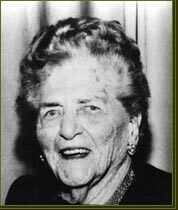 One of the most influential women of the 20th century, Mrs. Shouse was an adviser to 15 presidents, a visionary and dynamic advocate for humanitarian causes, and a generous benefactor of the arts. She was the first woman to receive a master of education degree from Harvard University, the first woman appointed to the National Democratic Committee, and the only woman in the 20th century to have been named Dame Commander of the British Empire and awarded the U.S. Presidential Medal of Freedom — the highest civilian awards in both Great Britain and the United States. Her book, Careers for Women, was first published in 1920, and she actively promoted career training and career opportunities throughout her life. Mrs. Shouse donated 100 acres of her Virginia farmland outside of Washington, D.C., and funds for construction of the Filene Center amphitheater for creation of Wolf Trap — the only national park for the performing arts and related education programs, which opened July 1, 1971. Although Mrs. Shouse passed away in 1994 just months before her 99th birthday, her lifelong achievements continue to be honored.